Liverpool are reportedly ready to cut their loses on midfielder Naby Keita after less than twelve months at Anfield. The 24-year-old only signed for club last summer with RB Leipzig banking a cheque for around £50million. But reports have surfaced saying Jurgen Klopp may already be willing to let him go. The Reds, according to Team Talk, are also happy to lose £10m on the player. Bayern Munich and Borussia Dortmund, it is claimed, have already held talks with the player’s representatives. A return to the Bundesliga appears possible and Klopp has said he wants the under-performing central midfielder to play with more confidence. 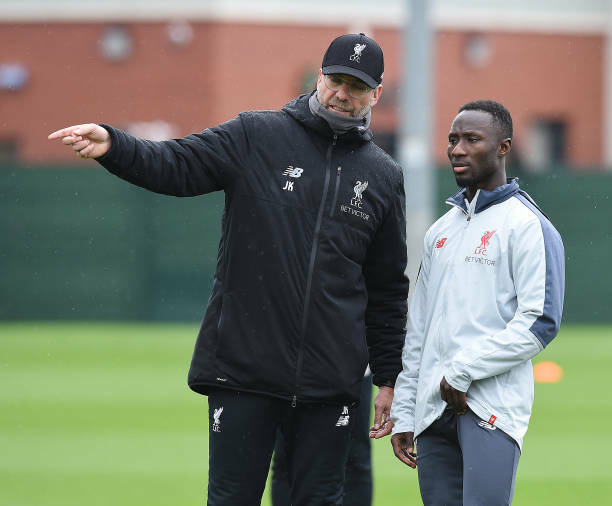 Having agreed a deal to join LIverpool in the summer of 2017, there was much excitement over Keita as he eventually moved to the Reds the following summer. He impressed in his first few games at the club, but niggling injuries and the form of Gini Wijnaldum has seem his impact limited. "I spoke with Naby and everything is fine," he said back in the New Year. "I am completely happy with him. Klopp wants his team to build on last Sunday's win at Fulham. Liverpool weren't at their best in west London but the manager was thrilled by how calm his team were faced with the prospect of dropping points in the title race. They face Totteham at Anfield next Sunday and content Klopp said: “I didn't see us panic. I liked how we reacted. “It's the best position you can be in. For us, it was clear. Always clear. City don't look as if they drop a lot of points, so we have to win, to win and to win."